So, you have got yourself a high-end Android smartphone, or a tablet, and want to give it a test drive of its hardware and put it to its maximum capacity? Enjoy these graphically impressive games that will challenge your gadgets and wits. Everybody wants to play high definition games that are visually impressive, but not everybody can because HD games have some restrictions on the hardware, and if you want to play them you must have a really high-end device to be able to enjoy the games that rely on powerful processors. Note: these are HD games, and you need to have proper Internet connection and download most of them via Wi-Fi or 3G because they are quite heavy-weight downloads while some of them require you download even more data that go alongside them. One more note: while there are some 2014 games, we also felt obliged to include some of the best HD games from the previous years to offer you a wider scope of choice. Globally acknowledged RPG series Chaos Rings is available in two editions now, offering spectacular adventure, interesting gameplay and an ever evolving storyline. An amazingly beautiful fantastical world where life is at the brink of destruction, as usual, and the chosen one has to kill five people to save the world, and one of the five is an innocent child. Whether this hero can carry out his duty is the decision that lies in your hands. It is an exhilarating adventure ample for players of all ages who are devotees of science fiction and futuristic scenery. The story evolves as you make choices while enhanced graphics built on a new rendering engine offer astonishing visual effects. The battle system requires strategic thinking, offering a wide array of character voices and wonderful music; there are plenty of hidden bosses and unexpected endings. The game supports English, Spanish, German, French, Japanese and simplified and traditional Chinese languages. As you would expect with an HD game, the size is pretty hefty, and it is strongly recommended you only use Wi-Fi connection for downloading. The game requires 1 GB of memory, so make sure you have it available before proceeding to download. This is the game for those who enjoy fighting and bathing in rivers of blood. You get to fight in the arena and entertain bloodthirsty crowds as you fight to the death. Here, you only have two options – death or glory. The game offers intensely bloody HD visuals, so you can basically see and feel the violence as it is, as you engage in intense combat. The game offers an extensive choice of armor and lethal weapons in the picturesque arsenal of weapons tailored to suit all combat styles, including destructive dual weapons, blades and shields and more. You get to complete multiple attacks and combos to get to the blood-soaked victory. If you manage to survive and make it to become a champion, you earn Invictus medals. You’re not allowed to surrender. The game is free but offers in app purchases. A very long-lasting dungeon crawler and solidly built platform with impressive graphics that can compete with console games. In this game, you are an Archangel whose mission is to defeat the evil forces that are mobilizing to defy heavenly rules. You have to stop their rise and inflict justice so fretful that none of the devils would ever again dare to defy Heaven. Unity Games created an action-packed horror story tailored specifically for touch screens in this epic battle between forces of light and darkness. The game appeals to the fans of horror stories and dungeon crawlers, and playing as a celestial being adds some spice to the plot. The game boasts of excellent gesture and touch-based control system that is very well responsive, and you can crush, cut, pound and freeze fallen enemies while if you resurrect them, they become your minions and help you battle your enemies. There are 30 levels of action-packed combat and spell-casting with over 100 collectible items that comprise unique spells and advanced abilities. You can exchange points at the end of each level to add more abilities to your character. Archangel is especially impressive on tablets in full screen mode while the possibility to save your progress in the cloud and continue the game on any of your devices makes it a really impressive and modern title. Archangel notes the list of supported devices on its Google Play page, so you better read the description carefully because other devices are not supported. 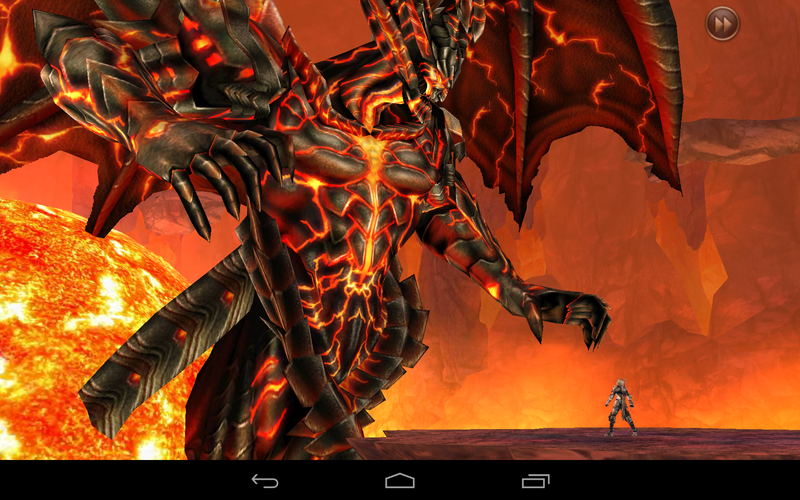 The game requires at least 400 MB of free space and Android 2.3.3 or above. 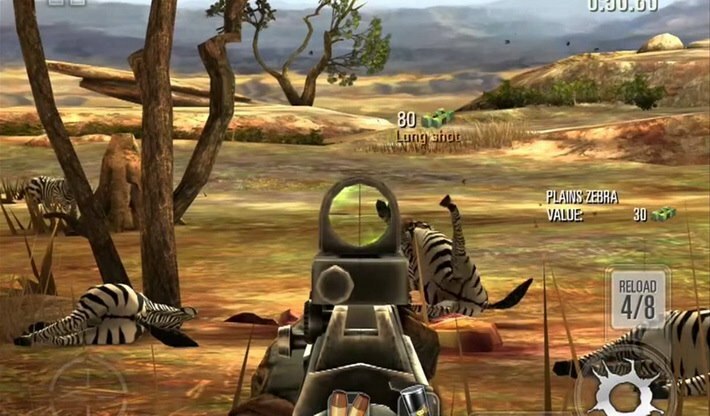 One of the most visually stunning FPS simulators offers an unprecedented journey to the wildness as you travel from the United States Pacific Northwest to the Central Africa Savanna in a hunting journey where you get to slaughter the world’s most exotic animals. The game offers great shooting mechanics and gorgeous visuals while fast missions are perfect for a quick fix to boredom. You get to explore the wilderness of Africa, immersing in picturesque environments inhabited by over 100 animal species. There are aggressive predators that can attack you, so you need to watch out for wolves, bears and cheetahs. Deer Hunter 2014 has a large gallery of customization options, so you can perfect your weapons upgrading stocks, barrels, scopes and magazines taking your killing capabilities to the next level. The hunting season is forever open in this game, and it is a free FPS hunting simulator for the devotees of the Deer Hunter franchise. The game is free, but offers in app purchases, and as usual, we strongly recommend you only use Wi-Fi connection to download hefty HD game. 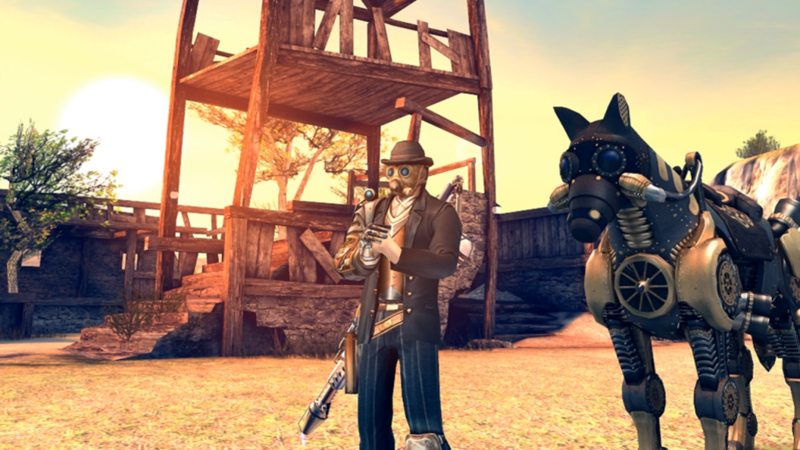 Wild Wild West welcomes you as you start your journey full of exploration of the enormous Frontières full of gangsters, Cowboys and Sheriffs and unexpected creatures in this wonderfully crafted third-person shooter adventure game. You are an outlaw with an extremely harsh sense of justice who ended up on the wrong side of the law due to circumstances that didn’t depend on him. He had to fake his own death and escape to the wild West, the hot state of Arizona, but the story goes from bad to worse as he discovers an ancient and wicked evil force that hides in this region. The game offers picturesque exploration of the Arizona and Oregon world filled with mystery, events and challenges, so the storyline will get you completely immersed in action, yet ghastly vampires and criminals will keep you on your toes as you make your way through this beautiful land. You have to complete 42 missions boasting a large variety of tasks – race horses, fight multiple enemies and takedown robbers as you protect the innocent and help maintain justice. Six-Guns leaves you no choice but to kill or be killed as you unlock power ups, beautiful horses, powerful weapons and a substantial selection of ammunition, clothes and other helpful items. The game is free of charge and appeals to the FPS action games fans, as well as those who like shooters and action games. Absolutely astonishing graphics pushes the mobile platform to its extreme limits in this beautifully crafted racing game. Buckle up, step on it and enjoy the ride as you outrun cops and outsmart your rivals in one of the most exhilarating and dangerous Need for Speed games. This game is without a doubt one of the most high quality, immersive and addictive games with impressive graphics. You get to compete with ruthless street racers and escape the police as you chase some of the most beautiful cars in the world – Porsche 911 Carrera S, SRT Viper GTS, Hummer H1 Alpha and more. You get to experience the race of a lifetime where there are no rules and no breaks in this realistic full car-smashing hit available for mobile devices. You can challenge your friends and check who is the most wanted on the list across platforms. 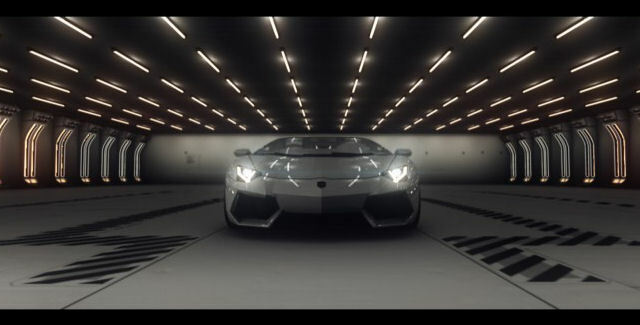 The game features over 40 of the world’s most luxurious cars you can customize and enhance in performance and style. Mind-blowing graphics will get you fully immersed in this intense racing tournament. The game is a weighty download of 550 MB and requires at least 1900 MB of free space, so we recommend you use Wi-Fi only. It also offers in app purchases, but you can make do without them. Rockstar Games offers one of its most successful releases on the mobile platform in this immersive story covering the entire San Andres state and its three major cities – Las Venturas, San Fierro and Los Santos. The game offers over 70 hours of gameplay and superior visual performance featuring high-resolution graphics built for mobile devices specifically, including an enriched color palette, improved character models and lighting enhancements. It also sports a cloud-save support, so you can play across your multiple mobile devices. GTA offers dual analog stick controls for perfect movement control and full camera control while the three different color schemes and highly customizable settings offer extensive contextual options, so you can set up the buttons to display only when you need them. GTA is compatible with MoGa wireless game controllers and even Bluetooth and USB gamepads. In addition, it is integrated with Immersion Tactile Effects and offers adjustable graphics settings. The game is available in French, Italian, English, Spanish, German, Japanese and Russian languages. It is strongly recommended to close other applications before launching GTA. 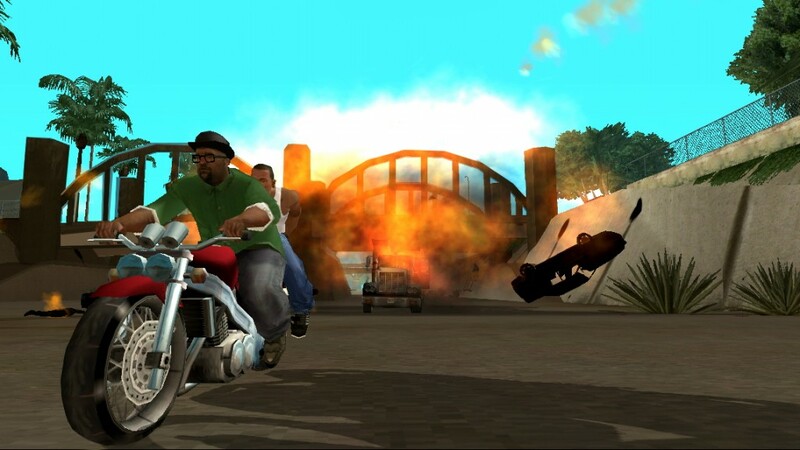 The immersive plot revolves around the main character, native of Los Santos, who once escaped the pressures of life in San Andreas filled with corruption and drugs. He has to come back home to protect his family and make justice, taking control over the streets. 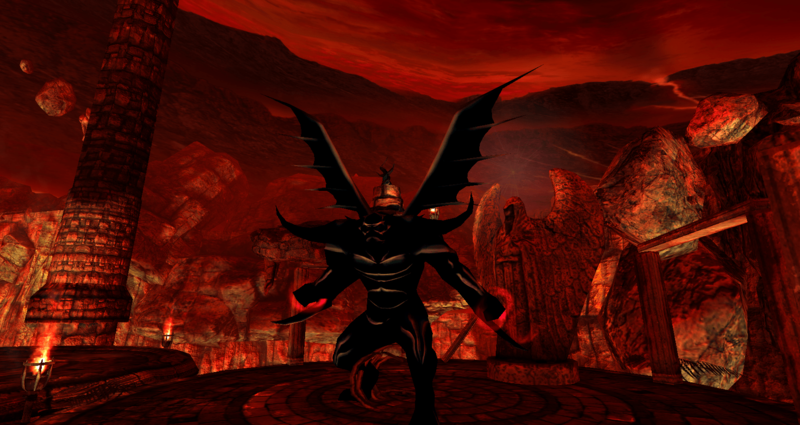 The game combines tower offense and tower defense elements, so players can choose sides – the scarce remains of humankind, or ghastly aliens. You can also opt for a Tegra 4 optimized Anomaly 2, which includes NVIDIA SHIELD. Anomaly 2 is a sequel to the world renown Anomaly War Zone Earth and while the game maintains the core elements of the original, Anomaly 2 also offers a slew of new features, including a single player campaign and the tower defense versus tower offense multiplayer mode. Anomaly 2 depicts the apocalyptic world after the alien invasion on Earth in 2018, where our home planet is defeated by alien machines, and the humankind is almost extinct. It appears now that it is humankind that is the anomaly on this planet, and you have to lead your convoy in search of scarce resources and defeat alien machines. Or, you can choose to fight on the side of the aliens and defeat the rest of the humankind. The game is spiced up by some cool features, including the ability to morph your troops into war mechanic with different abilities you will need in specific combat situations. You get to fight across a post- apocalyptic world in intense encounters for survival, carving your way to victory and compiling your perfect battle squad. The game features more than 1 million tactical combinations you can use to build your squad, so the options are virtually unlimited. 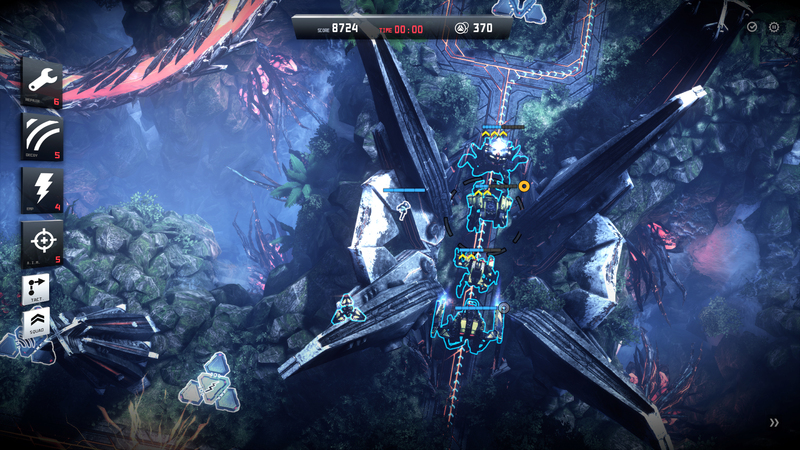 In terms of graphics, Anomaly 2 is a meticulously rendered world that will impress you with its beauty and horror. The best part of this game is the outcome depends on your choices and your strategies, and alternative endings do exist. It is specifically optimized for tablets. 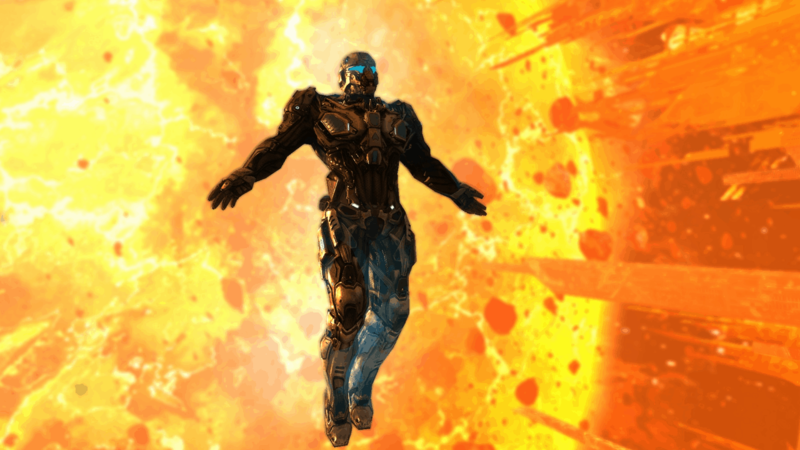 As in the previous game, NOVA 3 makes you fight for humankind survival, but this time, the events take place in the outer space in one of the best space shooters for Android. Featuring an epic storyline where humanity returns to Earth after centuries of exile, this game makes you fight in 10 levels scattered across the galaxy, from Earth to the faraway dark galaxy nooks. You get plenty of weapons to customize and enforce so that you can shoot and drive vehicles and all sorts of different mechanics to defeat enemies. There are six multiplayer modes for as much as 12 players, and you can make alliances and even use the same vehicles to fight against aliens and “mechs.” You will be impressed with the FPS benchmark for graphics displaying real-time shadow and lights, ragdoll physics and particles system. This game appeals to fans of first-person shooters and action games, and keep in mind that NOVA 3 requires 2 GB of free memory to install. 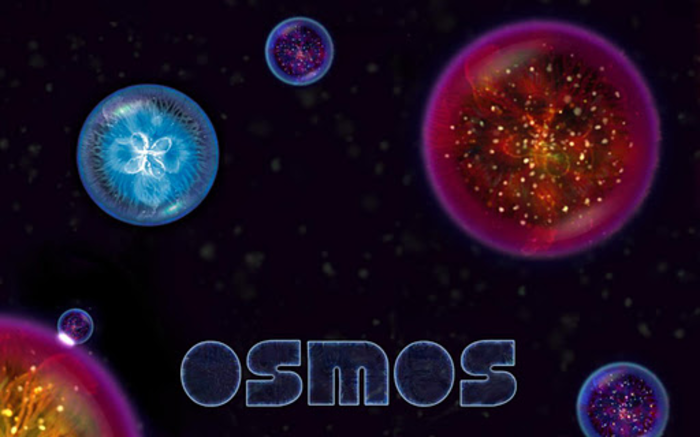 Osmos HD offers “the ultimate ambient experience,” which is without a doubt a “work of genius.” You get to experience the Darwinian world of Galactic journey, where you would need to survive absorbing smaller organisms and escaping larger predators. Osmos HD is an award-winning Game of The Year featuring unique physics-based play, a hypnotic soundtrack of ambient electronica and stellar graphics. The version is optimized for smartphones and tablets, but requires Android 2.2 or higher and multi-touch. You are a luminescent organism that needs to grow absorbing smaller organisms, but sometimes you need to escape predators by propelling yourself. To speed up, you must eject matter, which subsequently makes you shrink. You need to keep this delicate balance while the game leads you through amazingly beautiful playgrounds, deep solar systems and competitive survival environments. This is a fantastic game, which combines survival and classic eat-them with superior physics, which appeals to both children and adults alike. Last year, Osmos HD won ten awards, including Game Of The Year, Number One On Top Mobile Game List, Ipad Game Of The Year, Editors Choice in Google, MacWorld, Wired, IGN, GameTunnel and more editions. It was also awarded the Most Innovative Game, Best In Show, multiple awards for graphics, soundtrack and atmosphere. The soundtrack was created by Julien Neto, Loscil, Gas, High Skies and other world acclaimed composers of today. It features 72 levels in 8 worlds – Solar, Sentient, Antimatter, Repulsor, Ambient, Antimatter, Impasse, Warped Chaos and Epicycles. Multitouch controls offer you seamless ways to warp time, eject mass and absorb organisms. The game design is very well thought through and intuitive while the levels are flawlessly structured, and the visuals are simplistic, yet stunning. This is a unique experience – beautiful, absorbing and utterly serene. One way or another, this is a must-play game.